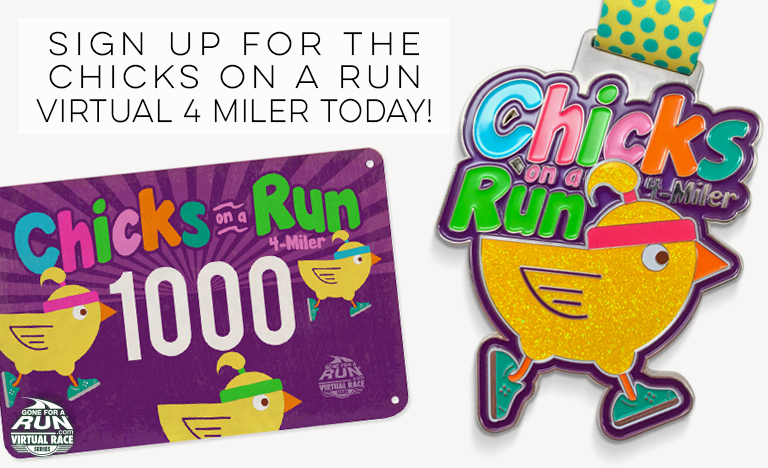 Sign Up For the Chicks On A Run Virtual 4 Miler Today! Home Sign Up For the Chicks On A Run Virtual 4 Miler Today! 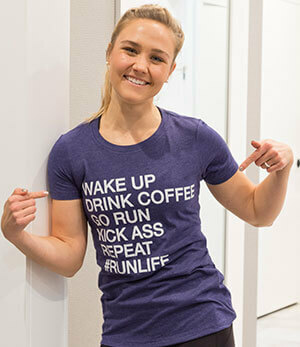 It’s time to get together with your best running buddies, pin your bibs to your shirts, and show the world what chicks on a run really looks like (hint: totally badass… even if the bibs are cute as anything.) How do you do this? 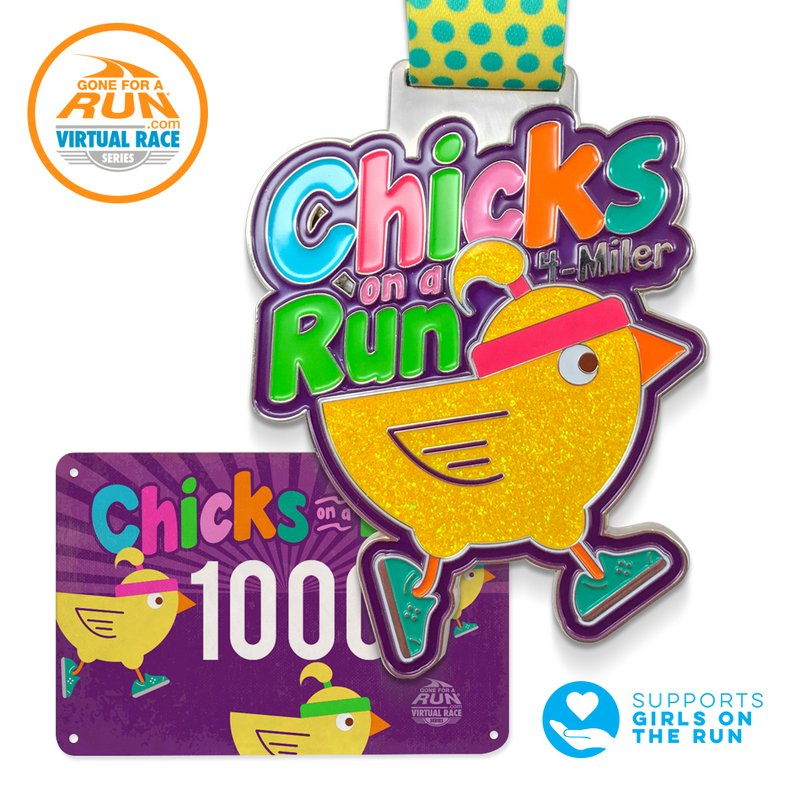 It’s oh-so-easy – just sign up for the Chicks On A Run 4 Miler virtual race today to receive your race packet including the aforementioned bib (and it’s the real deal – no downloads for you!) as well as a sparkly medal that you’ll love awarding to yourself at the end of the race. Rules of the race: Oh, that’s right. There aren’t any. 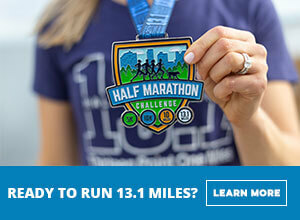 While most runners will be participating the race between April 13th and 19th, 2017, we’re not the boss of you, so you can do it before or after the date and it still counts! Choose your course. Choose your start time. Choose your speed. Just run or walk the four miles, and you’ve done everything 100% correctly. 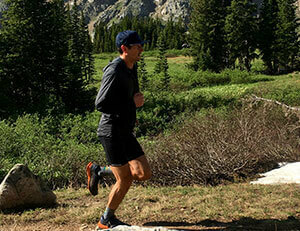 It’s part of why our virtual races are so beloved by our virtual running community: no stress, no pressure. After all, while running is a lifestyle, it’s also supposed to be fun, isn’t it? 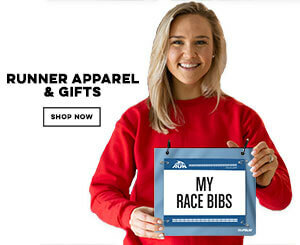 As a special way of saying thanks to our virtual runners, we have special deals on runner chick/chicks on a run accessories and apparel – just make sure to add them to your cart when signing up for the race to get the discounted price. 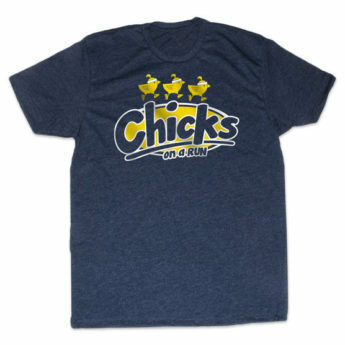 The Chicks On A Run T-Shirt is available in both slim, women’s cut, and a men’s/unisex cut (for a looser fit) and features the same adorable chicks from your race bib. For only $12, this is a great deal on a quality T-Shirt that’s soft and comfortable, both while running or for everyday wear. 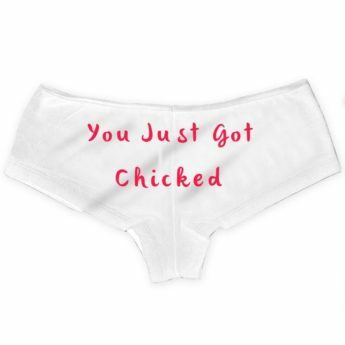 We also have discounted “you just got chicked” moisture-wicking knee high socks and a pair of runner shorties that are perfect for post-race lounging or as stylish runner’s underwear, as well as a no-slip runner chick headband and a running chick car magnet to round out the set. All these great items are otherwise full price – it’s our way of saying thanks for being a part of the community. Another great aspect of our virtual races are the charities you help us raise money for. A portion of all race registrations will go to Girls on the Run, a non-profit organization that encourages young girls to recognize her potential and unlock her inner self esteem via running. When you register for the race, you’ll be helping this great charity that’s near and dear to our hearts, to continue to do the amazing work they do for young girls and to encourage them to get involved with running. 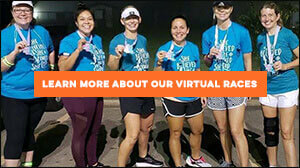 Don’t forget – if you’re a regular virtual racer, you can save even more money by joining our new Virtual Run Club, where you can sign up for a three, six, or twelve race package. Sign up today, have a great race and make sure you post your race recaps and photos on our Facebook page – or send them to me via email at blog@chalktalksports.com. I can’t wait to see your smiling faces and read all your great stories! 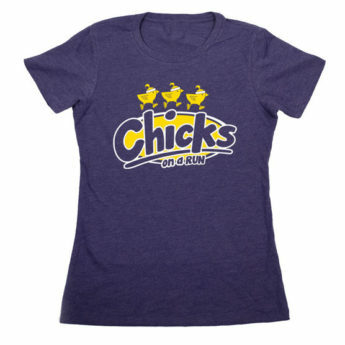 Have a great race, chicks! Happy running!